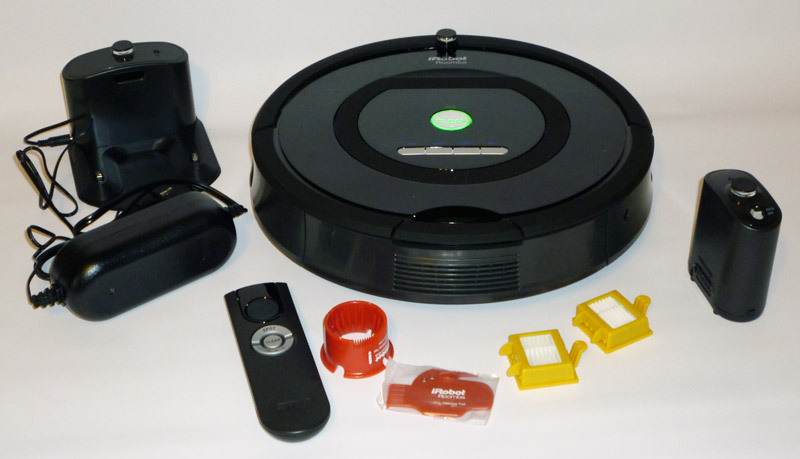 Roomba 770 and Accessories. Clockwise from upper left: Home base charger & power supply, remote control, 2 brush cleaners, 2 HEPA filters, and one of the 2 virtual walls that came with it. Roomba upside down. Here you can see the large height-adjusting wheels that allow it to handle carpeting as well as hard floors. Two brushes, a beater brush and a bristle brush. The side brush can be seen at the upper left. 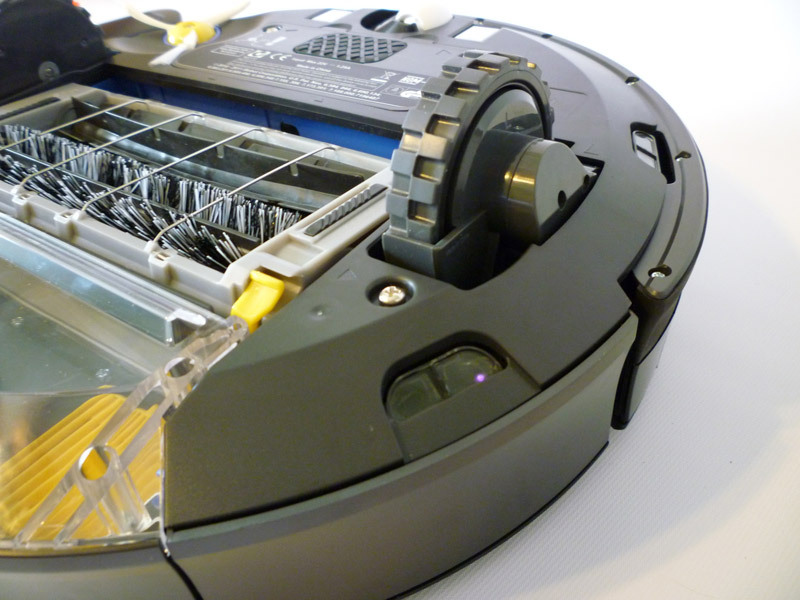 I recently acquired the Roomba 770 robot vacuum cleaner. 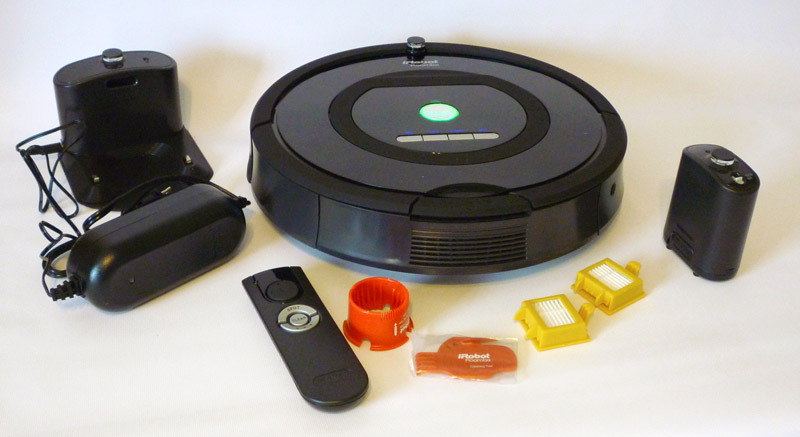 The 700 series Roombas (760, 770 and 780) are the latest and greatest models from iRobot. I love my iRobot Roomba 770. It came with the base charging station, 2 virtual walls, a remote control, cleaning tools, and spare HEPA filters.